Colmonell Primary School has won another prestigious award, the Glasgow Institute of Architecture Gold Award, which acknowledges the innovative and unique design of the school. The school previously scooped two silver awards in the annual Roses Design Awards for its iconic and outstanding design. 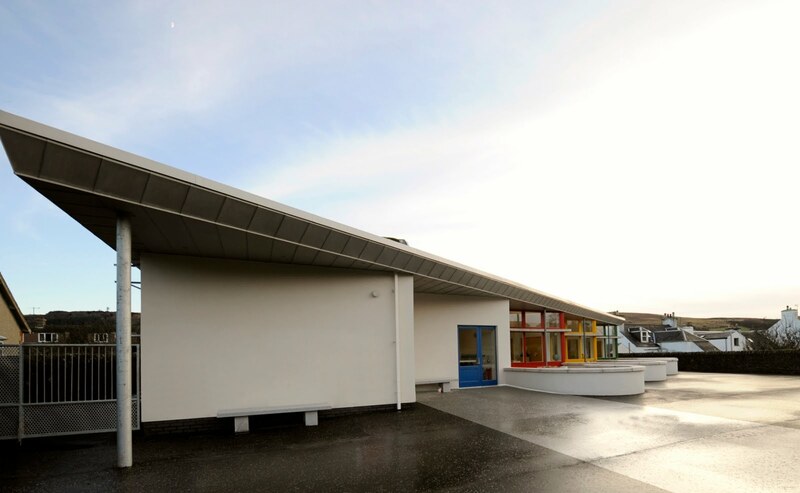 The £1.5 million eco-friendly primary school in Colmonell features a grass roof and environmentally friendly credentials. Built using sustainable building materials, high levels of insulation and low cost heating powered by air source heat pumps. – the new is proving to be a hit with pupils, staff and the local community. 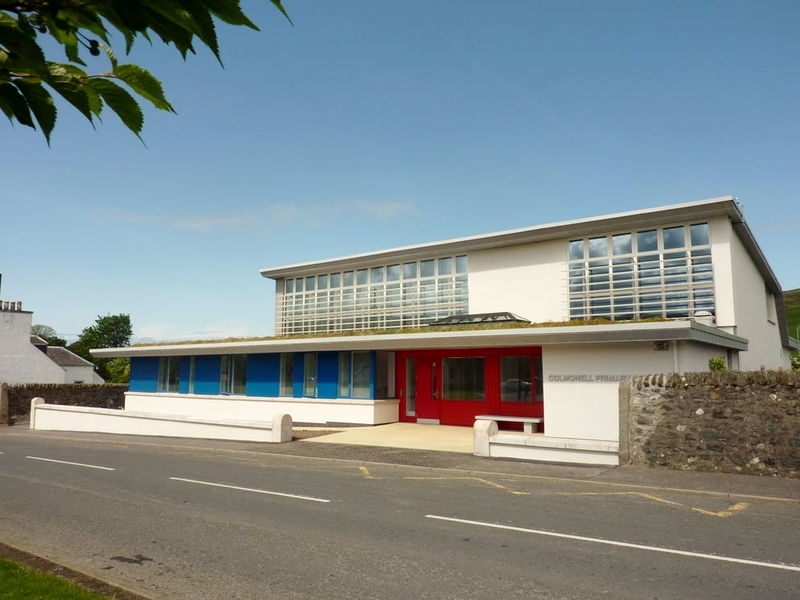 The award went to ARPL Architects, who designed the school to accommodate 50 pupils in two composite classes and a nursery class for 10 children. The school has spacious teaching area, a dining and sports hall, a central open area with a library and a variety of spaces for the staff. South Ayrshire Council Portfolio Holder for Lifelong Learning Hywel Davies said: “I am delighted that Colmonell Primary School has won such a prestigious award. “We asked for a sustainable school that would serve the village into the future, and that is exactly what we got. “The school has an innovative design which enables the children to learn in an environmentally friendly building which minimises energy use. 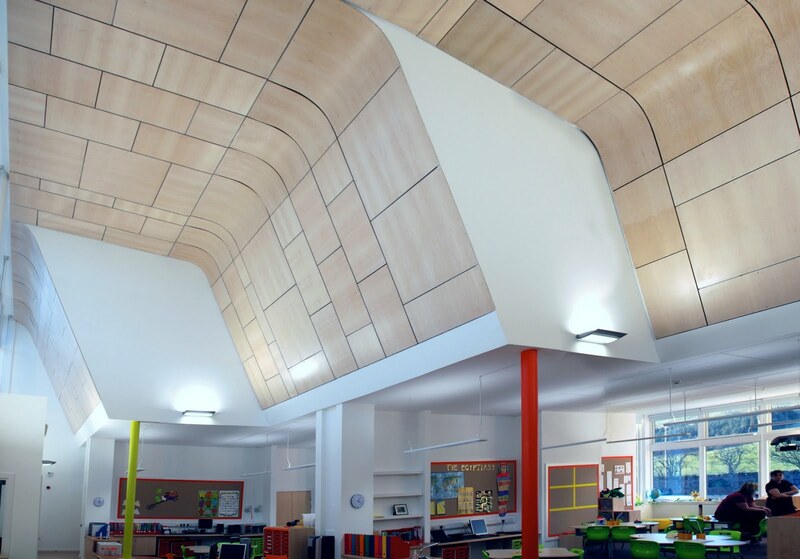 The interior space utilises natural daylight and ventilation, providing a healthy environment for the children. “This school is an outstanding success, the pupils and staff enjoy learning and teaching there, parents and local residents are happy with it, it is everything that we planned for and more. “The school is a credit to the architects, designers, builders and agencies involved in its creation, and thoroughly deserving of the plaudits received. “Everyone who worked on creating this school created a rural school which meets all the educational needs of the children in an innovative way. Yvonne Templeton, Head Teacher of Colmonell Primary School said: “I am delighted that our school has won a Glasgow Institute of Architecture Gold Award. ARPL Architects is a Founder Member of the Elite Ayrshire Business Circle.